Kiplinger’s Personal Finance magazine has named Emory University a "Best Value" for 2016-17, ranking the university No. 13 in its annual Best Value survey of 100 top private universities that exemplify excellent academics while keeping costs to a minimum. Emory has consistently been ranked among the top "Best Value" private universities by Kiplinger's since 2007. Emory ranked No. 30 for value among all U.S. universities, public and private. In 2015-16, more than $183 million in financial aid was awarded to undergraduate students, including both need-based and merit-based aid. Nearly 72 percent of the aid was provided directly by Emory. About 20 percent of students receive Pell Grants, a main form of federal financial aid for lower income families. 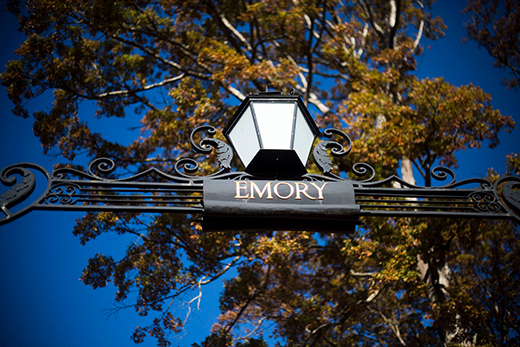 First-year applicants to Emory have the option to apply together or separately to Emory College of Arts and Sciences on Emory's Atlanta campus, or to the Oxford College on Emory's original campus, about 40 miles east of Atlanta.